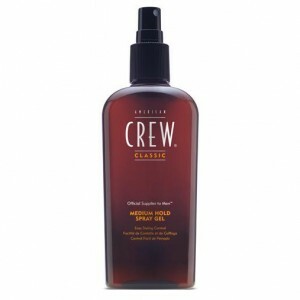 Application: Spray onto damp or dry hair. Comb or brush hair into place to create a softer natural hold. Features: Aloe Vera, Natural Humectants, UV Protectants, Variable Hold Formulation. Benefits: Conditions & maintains moisture, adds shine and manageability, reduces fly-away tendencies, helps protect the hair from sun damage, for increased shine and hold. Can be used independently for styling or as a finishing tool following light or firm hold gel.